A-TEAM RECYCLERS, LLC, an Illinois limited liability company referred to as “A-TEAM RECYCLERS”, “us” or “we”, is committed to protecting the privacy of its customers and website visitors. By using the website you consent for A-TEAM RECYCLERS to gather and use information as described in this statement. When contacting A-TEAM RECYCLERS through A-TEAMRECYCLERS.COM, we collect your personal information such as your name, phone number, email, company name, and other similar information in order to reply to you. 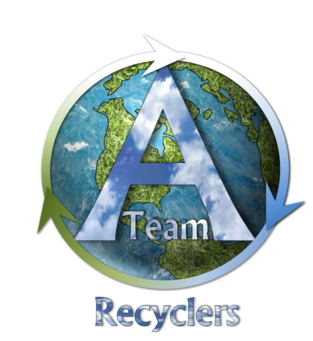 When visiting A-TEAMRECYCLERS.COM we collect and track data that can include the following; IP addresses, domain names, access times, links used to access the site, pages viewed and hardware type. This anonymous information is used by A-TEAM RECYCLERS to assist with marketing and to improve the experience for users of the site. A-TEAM RECYCLERS does not share personal information with third-party companies for their commercial or marketing use. A-TEAM RECYCLERS uses “cookies” to customize website content specific to you. Cookies are uniquely assigned to your computer, and can be read by a web server in the domain that issued the cookie to your computer. Using cookies can enhance your experience of the site. You have the ability to accept or decline cookies. However, if you choose to decline cookies, you may not be able to fully utilize the interactive features of A-TEAMRECYCLERS.COM. The entire content included in this site, including but not limited to text, graphics or code is copyrighted as a collective work under copyright laws and is the property of A-TEAM RECYCLERS. You may display, download or print portions of the material from the site solely for your own non-commercial use. Any other use, including but not limited to the reproduction, distribution, display or transmission of the content of A-TEAMRECYCLERS.COM is strictly prohibited, unless authorized by A-TEAM RECYCLERS. The terms and conditions of this statement are applicable to you upon using the site A-TEAMRECYCLERS.COM. These terms and conditions may be modified or removed by A-TEAM RECYCLERS without notice. Any provisions relating to Disclaimers, Copyrights, Trademark, Limitation of Liability, Indemnification and Miscellaneous, shall survive any termination. A-TEAM RECYCLERS may occasionally update this Privacy Statement. A-TEAM RECYCLERS reserves the right to change, update, and modify this statement at any time and without notice. A-TEAM RECYCLERS encourages you to periodically review this statement for modifications. Any change, update, or modification will be effective immediately upon posting to this site.